Making scrambled eggs for one or two is quick and easy on the stove top, but quickly becomes complicated when you're making them for a larger group. Cooking them instead in the gentle heat of a slow cooker is a much better option. 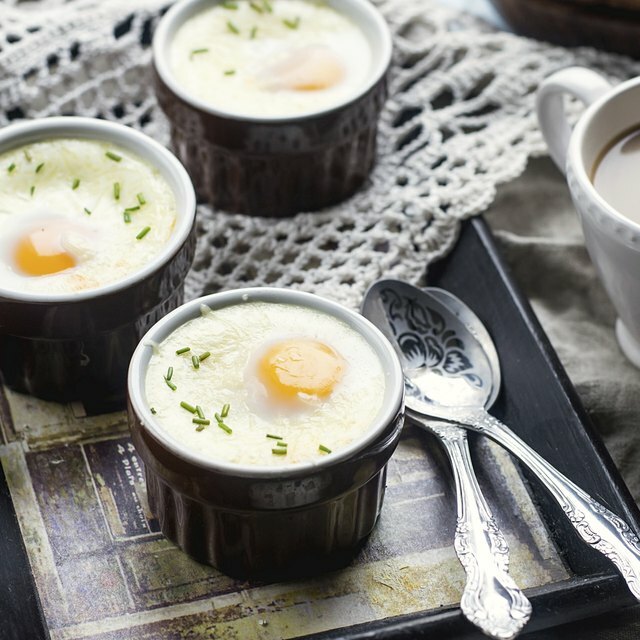 Eggs cook too quickly to be a good overnight option, but you can start them when you first get up and have them ready for a mid-morning brunch, while you go back to bed or enjoy a leisurely coffee and shower. Place some butter, margarine or oil onto a piece of paper towel and grease the bottom and sides of the slow cooker, or spray it liberally with pan spray. Turn the slow cooker onto the low setting. Beat your eggs together with milk or cream, if you wish, at a ratio of 1 tablespoon of milk for every 2 eggs. Add your chosen seasonings, such as salt, pepper, garlic or fresh herbs. You can also throw in additional ingredients, such as cheese or vegetables. Pour the egg mixture into the slow cooker and cover. Cook on low for 1 hour. Open the slow cooker after 1 hour and stir the egg mixture with a mixing spoon or spatula. This helps break up the eggs, creating a fluffy texture. Continue cooking for another 30 to 60 minutes, stirring periodically, until the eggs are set. The final cooking time depends on the amount of eggs you are making, so check periodically until the eggs reach your desired consistency. Serve the eggs immediately with the usual sides of toast and cured meats, or turn your slow cooker to its "keep warm" setting and hold them for an hour or two, until everyone is awake. Four to six eggs is a practical minimum for making scrambled eggs in a slow cooker, and a batch that small works best in a 2-quart cooker. A 4- to 5-quart cooker will easily handle two dozen eggs, making plenty of brunch for a group. You can turn your slow-cooked eggs into a complete breakfast casserole by adding potatoes, meat and seasonings. Grease the slow cooker then add layers of frozen hashbrown potatoes, onions, cheese, bacon, ham, sausage or whatever other ingredients you desire. Repeat the layers until you have the desired amount. Pour your egg mixture over the top and cook on Low for 3 to 8 hours, depending on the casserole's size.